Senior Katie Kelzenberg had quite the surprise on Friday. She received a special message from actor Dwayne "The Rock" Johnson. Last week, Katie asked Johnson to prom on Twitter. He sent a special message via the morning announcements at school. Unfortunately, he wasn’t able to accept her invite because he is shooting a movie in Hawaii. Instead, he rented out an entire theater for Katie and her friends, along with students from SAHS, to watch his latest movie. Watch her reaction on video. According to a recent survey, the majority of Stillwater Area Public Schools parent respondents feel teachers, schools and the district are doing a good job of communicating with families. A total of 930 respondents took part in the Parent Communication Survey and provided us with feedback on what is working and what isn’t working with communications across our district. We’ve just begun the work of digging through the results, reading all of the responses, and analyzing the data. Click here to read more about what we’ve learned thus far. Middle school students are learning about their digital footprint and how what they post online can stay with them forever. Check out this short video made by our students to learn how parents can set positive examples and support and encourage their children to be good digital citizens. After months of conversation about the mental health needs of our young people, it's time to take action. Join us for the next Community Conversation on Mental Health from 6 to 7:30 pm on April 24, 2018 at Oak Glen Golf Club in Stillwater. For the past several months, small groups of community members, parents and mental health professionals have been talking about ways the community can help address the challenges facing our students in the area of mental health. The Awareness and Prevention team and the Support and Crisis team have each developed strategies and action plans for the coming year. They'll be sharing their work on April 24 and discussing next steps. Whether you've been part of the planning teams or not, we encourage you to attend this important meeting. Check out our website, stillwaterschools.org/wecare for more details and background on our work to date. Congratulations to Stillwater Area High School senior Noah Schraut for being named to the All-State Speech Team! Only 64 students in all of Minnesota earned the honor. 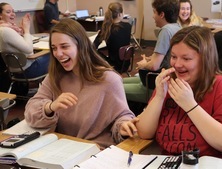 To qualify for All-State, speakers must attain a set of milestones established by the Minnesota Speech Coaches Association, including documented excellence in competition, community engagement and using speech skills in at least three other activities, such as National Honor Society, dramatics, or athletics. 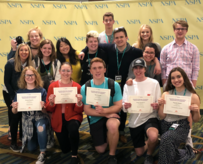 Congratulations to the Stillwater Pony Express newspaper for its strong showing at the National Scholastic Press Association convention in San Francisco! More than 1,500 students from across the country competed in the Journalism Education Association (JEA) Write-off contest this year. Stillwater Area High School had five students place in the competition and two students recognized for earning a spot on the JEA Journalist Honor Roll. Read more on our website. Members of the Stillwater Area High School ninth grade Philharmonic Orchestras took home gold at the WorldStrides Chicago Music Festival for the 16th consecutive year! The black and red orchestras, who perform together, also received an "Adjudicator Award" for an average score above 92/100. In addition, two students received a "Maestro Award" for their solos: Emma Kindler and Elizabeth Landherr. 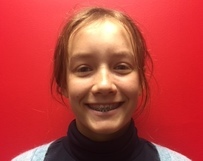 Congrats to Stillwater Area High School sophomore Josephine Ramirez who qualified for the national Chemistry Olympiad! Ramirez is one of only 14 students in our region who qualified for the exam. More than 1,000 students will sit for the nearly five hour national test this weekend. The 20 top-scoring students are invited to attend a study camp with the U.S. Air Force Academy Department of Chemistry. A special meeting of the school board will be held Thursday, April 26, 2018 at 5:00 p.m. at Stillwater City Hall, 216 North 4th Street, Stillwater. A closed session of the board will be held for the purpose of preliminary consideration of allegations against individuals subject to Board authority, as required under Minnesota Statutes Section 13D.05, subd. 2(b). followed by an open session which may include action related to the matter considered in closed session. Also, the purpose of the meeting includes the agenda items posted on the website. See the official meeting notice.